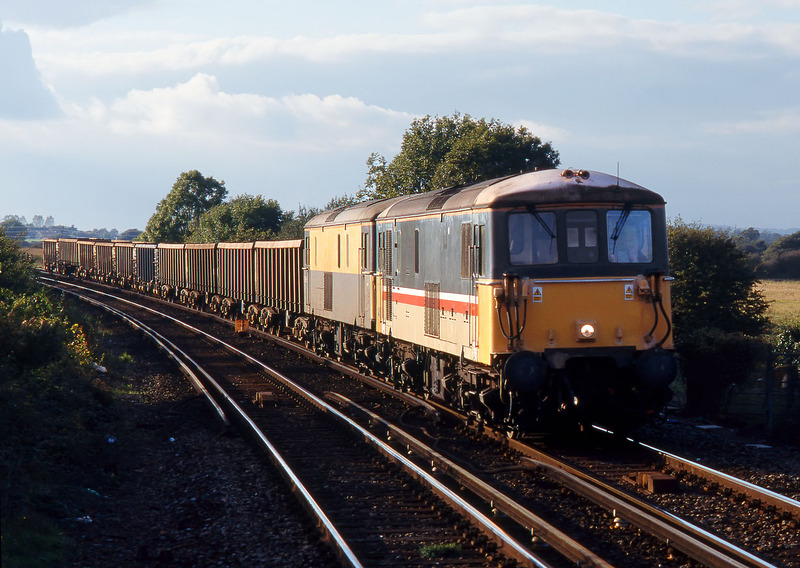 73104 & 73105 approach Ford (near Littlehampton) on 10 October 1998 with a short rake of stone wagons, returning from an engineering possession at Chichester. This is the view from the end of Ford station platform. As can be seen here, the location is very rural, the station being midway between the two small villages of Ford and Tortington.